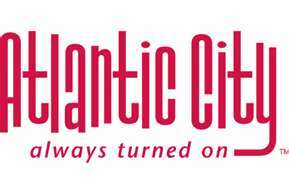 This entry was posted in family, Fun Mommy, kids, parenting, travel and tagged Atlantic City, Atlantic City boardwalk, Kid B, miniature golf, mothers and teenage daughters, Ocean City, Ocean City boardwalk, Primo pizza. Bookmark the permalink. No road trips to Atlantic City for them until at least their 16th birthdays! I have two girls…18 months apart. They’re toddlers now but we’re scared to death of the future teenage years. I really enjoyed reading this! One time Sister B and I got into a fight where we beat each other with pots and pans. True story. I’m pregnant with our first…a boy, though. I want a girl at some point…even though they scare me! Please do not misunderstand! Boys can be just as scary… the bugs and creatures, the furniture diving and climbing, and oh, the places that they will try to put their penises! Scary, scary stuff indeed.